Several years ago at Biltmore Estate, I was privileged to view an exquisite and extensive exhibit of Faberge eggs owned by wealthy financier, Malcolm Forbes. Mr. Forbes was gracious enough to loan his collection to Biltmore so that others could admire the beauty and elaborate detailing of these fabulous works of art. Though I have long been a fan of the Faberge eggs, I felt the urge more than once that day to pinch myself to make sure I was awake and actually viewing those eggs up close and personal. It’s one of those times that stand out in my memory as being an “eggs-tra” special day (pun intended)! 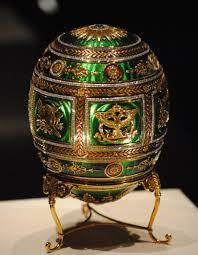 Not only am I a Faberge egg fan, but I’m also a fan of eggs you can eat — (especially chocolate eggs)! Nutritionists now tell us that eggs are the perfect food, full of all the protein and vitamins that our bodies need. No matter how they are served — fried, scrambled, deviled, or hard-boiled — I never refuse them. It has long been a tradition in our family to dye eggs on Good Friday in preparation for Easter Sunday. I must confess that for many years, I had a slight sense of guilt about dying Easter eggs because I felt they had nothing to do with the real meaning of Easter….until I got smart enough to do a little research. Eggs, in general, have long been a traditional symbol of fertility, and rebirth, and used in the celebration of Easter and springtime. In the Christian realm, Easter eggs symbolize the empty tomb of Jesus: though an egg shell appears to be like the stone of a tomb, a bird hatches from it with life; similarly, for Christians, it is a reminder that Jesus rose from the grave, and that those who believe will also experience eternal life. So the next time you dye eggs, remember the egg really is symbolic of Easter and the resurrection. Decorator’s Tip: Did you know that dyed eggs can be stored for several years, provided they have no cracks or any type of shell breakage? Over time, the inside of the egg will dehydrate and develop into what sounds like a small pebble, but the egg is still usuable for displays. I have some beautiful eggs I dyed 12 years ago that are stored in an egg carton until needed. Happy April!